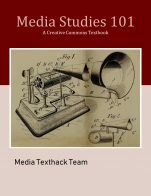 Media Studies 101 is the open educational resource for media studies studies in New Zealand, Australia, and Pacifica. We have constructed this text so it can be read in a number of ways. 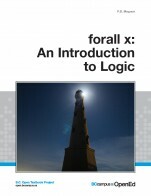 You may wish to follow the structured order of 'chapters' like you would in a traditional printed textbook. Each section builds on and refers back to previous sections to build up your knowledge and skills. Alternatively, you may want to go straight to the section you are interested in -- links will help guide you back to definitions and key ideas if you need to refresh your knowledge or understand a new concept. Phonograph (http://www.flickr.com/photos/archivesnz/12471914974/ ) by Archives New Zealand (http://www.flickr.com/photos/archivesnz/ ) is used under a CC BY-SA 2.0 Licence (http://creativecommons.org/licenses/by-sa/2.0/deed.en_CA). Media Studies 101 by Dr Erika Pearson, Dr Sy Taffel, Dr Brett Nicholls, Martina Wengenmeir, Khin-Wee Chen, Hazel Phillips, Collette Snowden, Bernard Madill, Jane Ross, Sarah Gallagher, Thelma Fisher, Shah Nister J. Kabir, Maud Ceuterick, Hannah Mettner, Massimiliana Urbano is licensed under a Creative Commons Attribution 4.0 International License, except where otherwise noted. There is a very effective index and glossary for the textbook. 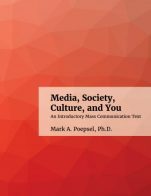 The titles in the index are clear and directly linked to the topic of media studies. Image on page 8 was quite pixilated (du Gay). Hard to read. I like that the YouTube clips are all left-aligned. This makes it them easy to find. It would be great to have all the images the same size and also center-aligned. I really like the discussion questions and references at the end. This is easy to find for the reader. Seems quite up-to-date. I like that the examples are not North-American centered. This is refreshing. The text relies on historical events which is necessary and also allows for new examples to be fit in when needed. I would suggest a box for examples that are current to help differentiate them from the other more historical or theoretical pieces. If there is jargon it is hyperlinked which is nice. The language is good for under-grad leveled students. Accessible and clear. Yes. There are a few areas where I would add some information or make some changes. chapter 10- seemed to lack a lot of information. Was oddly placed and the first sentence was quite cumbersome. chapter 15- Why was there no mention of Stuart Hall - encoding/decoding- seemed to be a natural fit. Chapter 18- needs to be more fully fleshed out. Chapter 19- needs to be problematized - too simplistic- need to talk about the various media effects models to help the reader see there is diversity. page 51- I know I just saw a new source that looked at research which debunked the moral panic around War of the Worlds. page 52- would be good to use the term Social Learning Theory when talking about Bandura. Like the limitations of media effects at the end of chapter 21 but needs to be a bit more explicit. chapter 48- Fandom. why was Jenkins work not talked about? 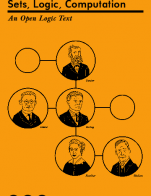 Yes, the texts are easy to read and short enough to give an introduction to the students as well as providing hyperlinks where possible to help with the weaving of the various chapters. I do understand that there can be some selection and the chapters don't necessarily need to be read in a certain order but there seems to be some oddities as a reader who reads from chapter 1 through that I will address in the organization and flow section. At the very beginning 2-step flow is introduced before Hypodermic needle. This would be very confusing for the students. The Gender and politics chapter seems oddly placed. Feels like it should be moved to later stages of the book. Why does it talk about limitations and then again in chapter 21 talk about media effects limitations. Feels like there should only be one section of limitations after the full discussion of media effects. There seems to be inconsistencies with APA formatting. Would be nice to see consistencies since in cmns we use APA and students are often looking for texts to model their own writing off of. Chapter 19- Why is the media effects introduction after the idea of limitations discussed in chapter 11.
move Chapter 23 before 22 since chronologically it falls that way. seems to be quite easy to navigate. Links work nicely. Layout makes sense. Images, charts, diagrams, are all important- would be nice to have consistency in places and size. Didn't see any grammatical or spelling errors. I do like the non-American centric feel of the document. Feels inclusive in many ways. The one media effects model created by a woman- Spiral of Silence- is missing. That would be a nice addition. Like that Judith Butler's work is cited. chapter 38- why not talk about k-pop versus the opening sentence which is so generalizing and a bit odd. It works for a quick look at certain elements of media studies. As a whole book, it doesn't work. 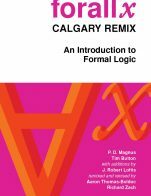 The format = chapter chronology, won't make sense for undergrads. I could see instructors using a few chapters here and there to supplement their other readings (possibly readings from the original authors). Having for instance two-step flow removed from other media effects models doesn't make sense. chapter 10 and 11 seem really out of place. I would also place media effects closer to audiences since they are very closely tied and connect historically to help contextualize the information properly. For chapter 29- I would (when describing the filters) give the key words- Ownership, Advertising..etc.